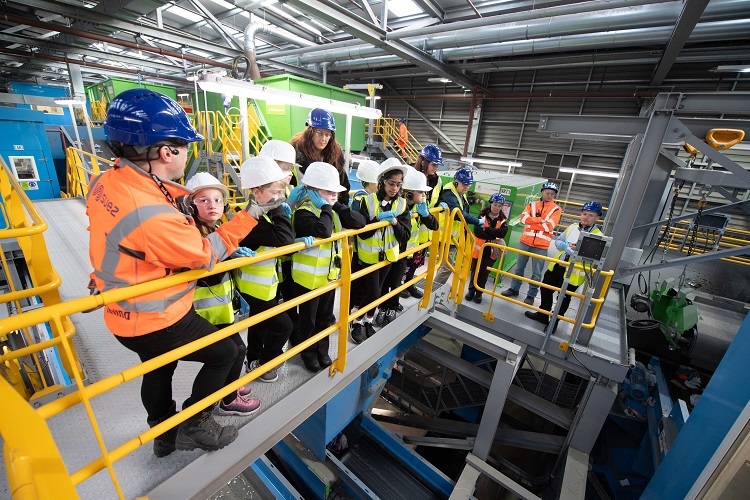 SUEZ recycling and recovery UK has launched a new education and visitor experience at Aberdeen’s state-of-the-art recycling facility at Altens East. 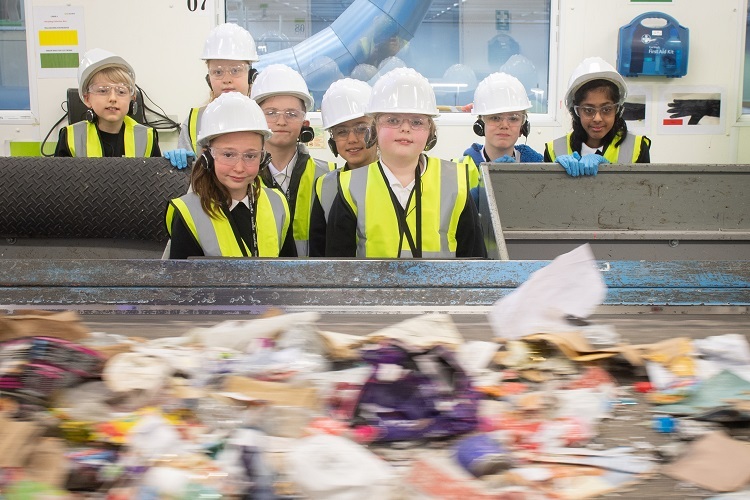 The new experience will allow local schools, groups and residents to learn what happens to the city’s recyclable and non-recyclable waste and explore the £27m recycling facility. 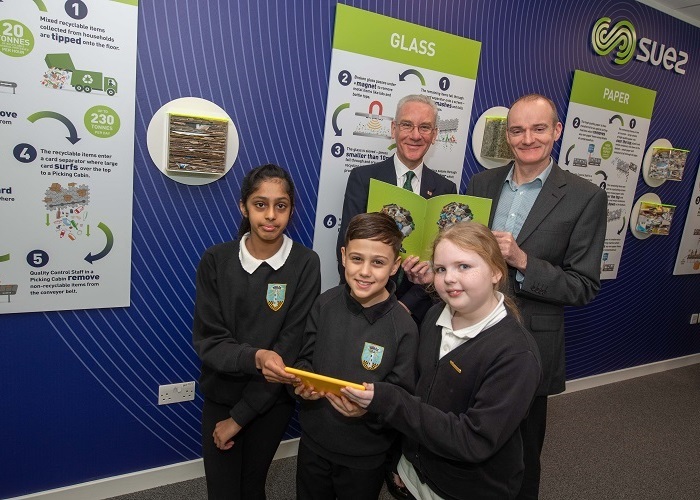 Tullos School’s Eco Group joined SUEZ and Aberdeen City Council’s Cllr Philip Bell on January 30 to launch the experience at the Altens East Recycling and Resource Facility. 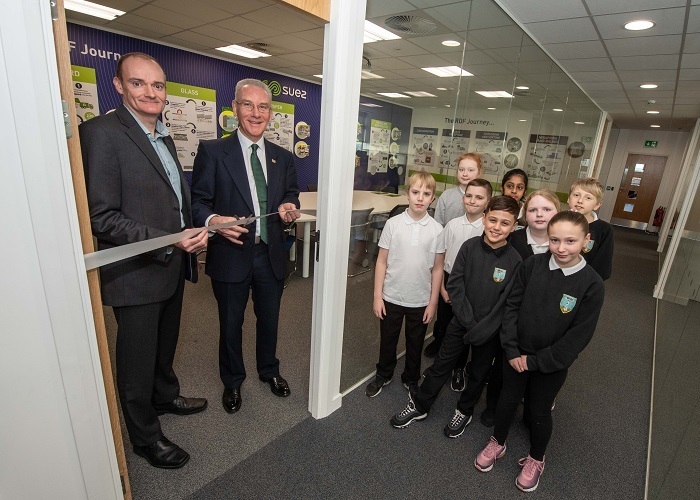 SUEZ recycling and recovery UK’s Chief Executive Officer, David Palmer-Jones, said: “We are delighted to be investing in an exciting new education and visitor experience in Aberdeen. “The facility will be open to residents, schools and groups who have an interest in learning about what happens to the city’s recyclable and non-recyclable material. Guests to the new education and visitor experience will be able to follow the journey of recyclable and non-recyclable waste and see first-hand processes at work to see how the latest technology is being used to ensure that the city’s waste is being put to good use. Speaking at the launch, Colin Forshaw, SUEZ’s Operations Manager at Altens East, said: “The SUEZ Team here at Altens East are really excited about showing visitors the great work we do in putting the city’s waste and recyclable material to good use. Aberdeen City Council Operational Delivery Vice-Convener, Councillor Phillip Bell said: “The recycling plant is a fascinating place to visit as it really brings home what happens to your recycling materials after you’ve put them in your wheelie bin.